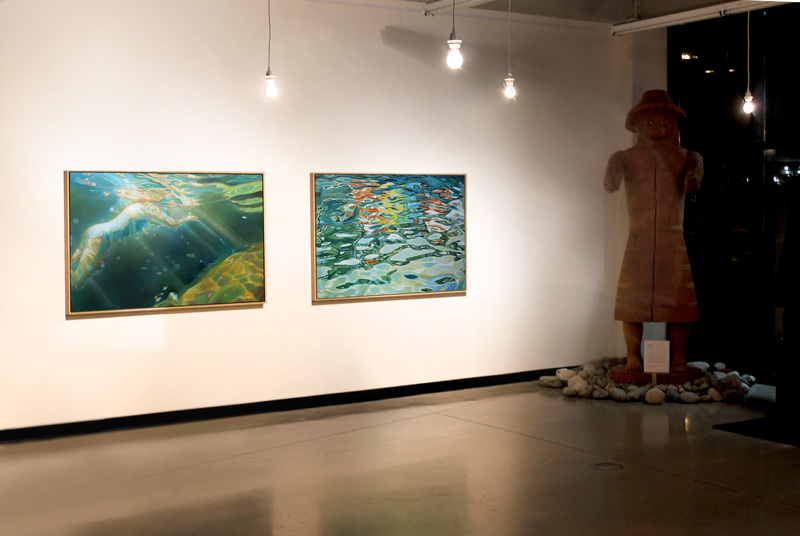 My work addresses the on-going debate surrounding the use of our coastal waterways. It explores how a single event can manifest multiple futures, some potentially destructive. What is beautiful and what is economically expedient are often two divergent paths. 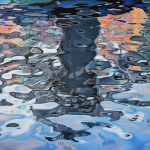 By highlighting the reflections on a body of water I attempt to contrast nature versus nature repurposed by humans and the far-reaching and often permanently damaging repercussions that can occur. 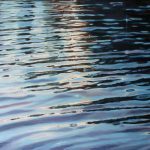 The irregular ellipses of flattened colour, abstract patterns and highlighted surface reflections try to evoke a reverence for the mystery and importance of water, our natural world, its fragility and precariousness. 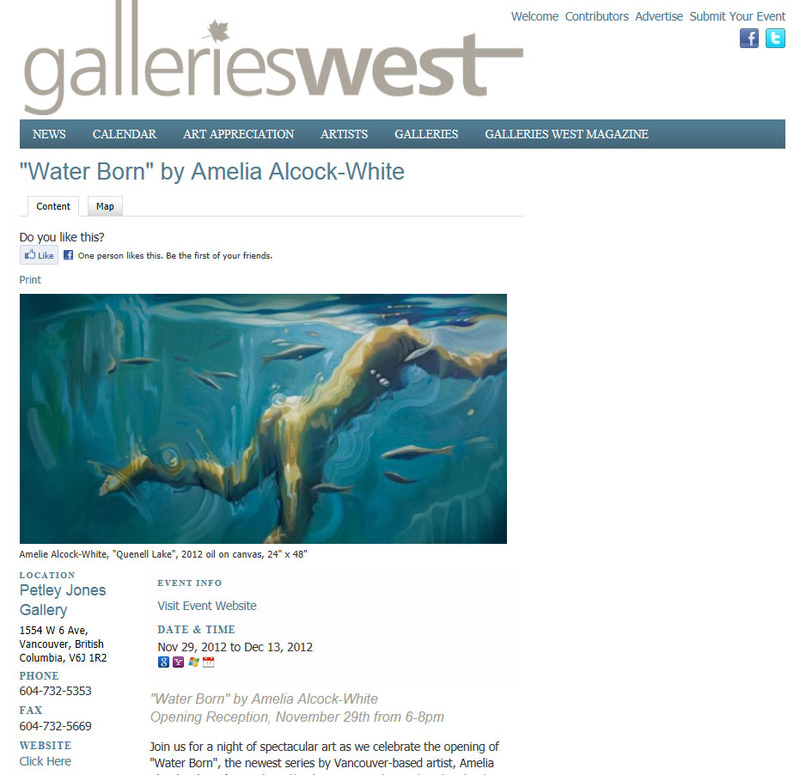 Born on Vancouver Island, Amelia Alcock-White is a contemporary Canadian painter who lives and works in Vancouver, BC. 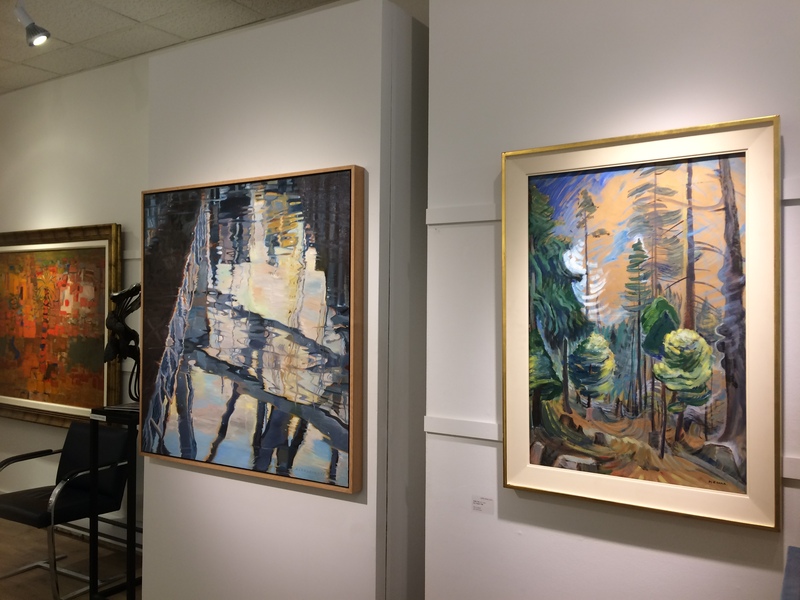 She studied fine art at Vancouver Island University, Emily Carr Art Institute and Columbus State University. 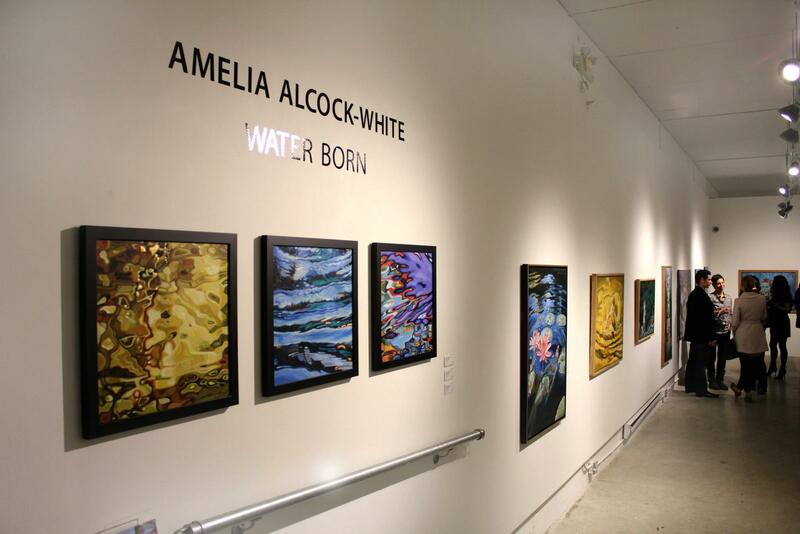 She has received many awards for her work, including Scholarships and Art Faculty Awards. 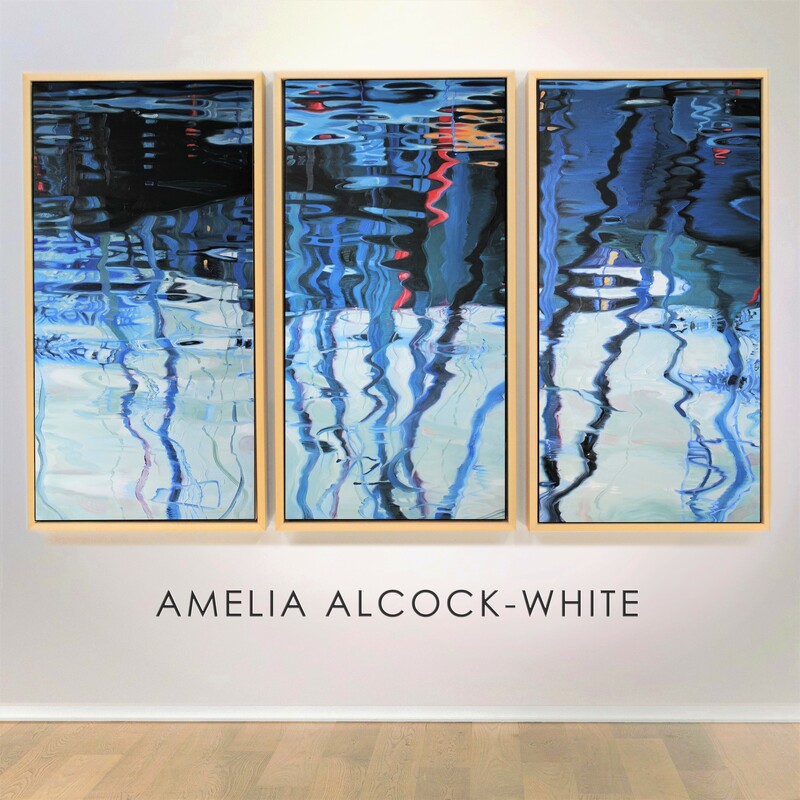 Alcock-White’s paintings have been the subject of numerous solo and group exhibitions in New York, Los Angeles, Vancouver, San Francisco and Toronto. 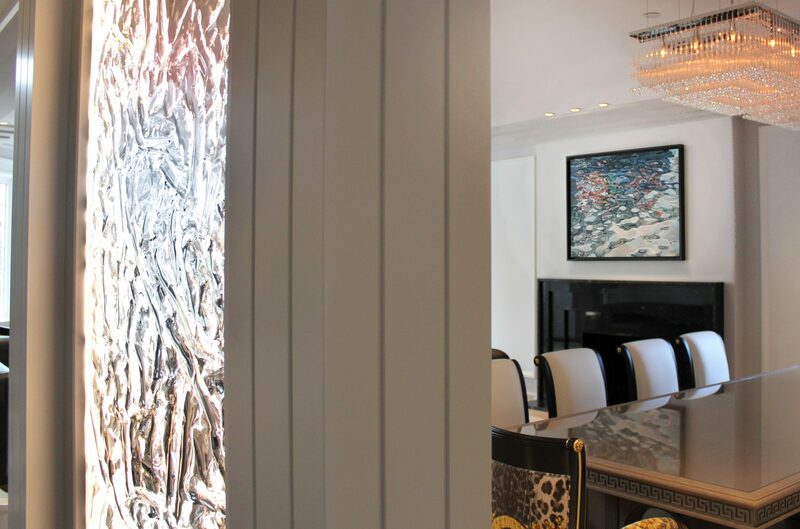 Her work is represented in notable public and private collections. She pursues her concern for the environment with an ongoing project called ‘Painting for Change‘ which benefits conservation initiatives. 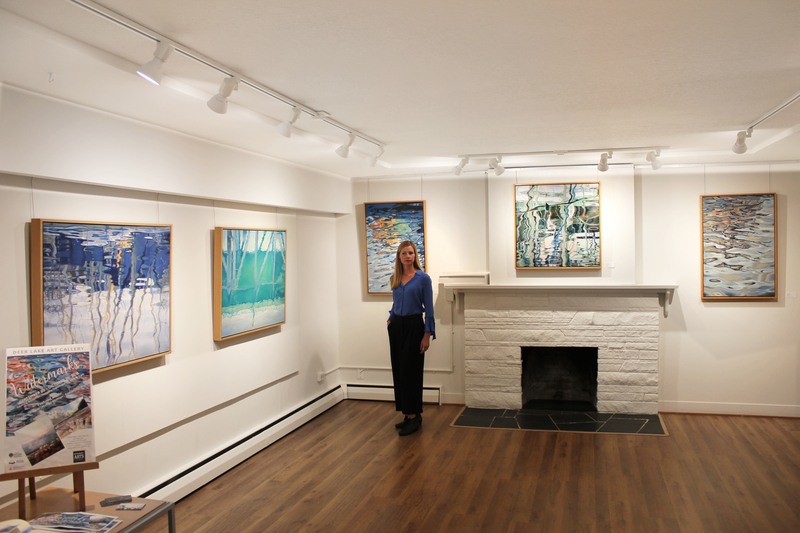 Images of coastal lakes, rivers and islands infuse her paintings with a sense of deep appreciation. 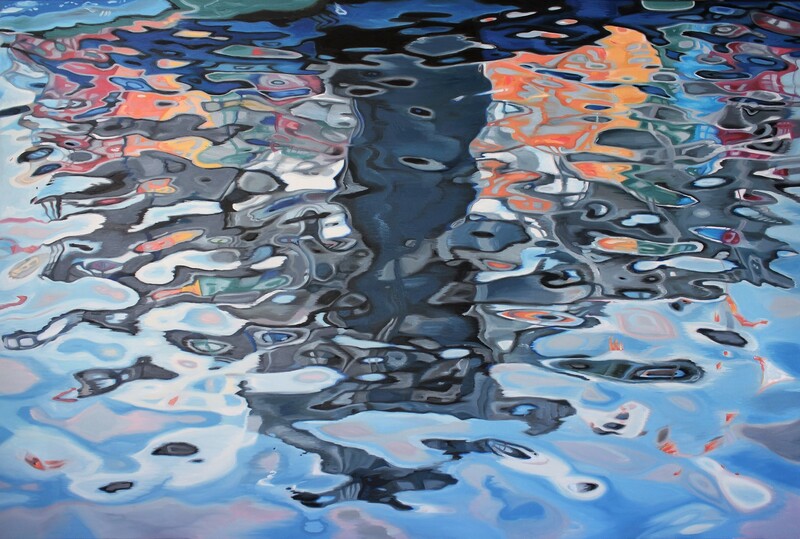 Ellipses, flattened colour, abstract patterns, and highlighted surfaces evoke the mystery of water, the fragility of our natural environment and the precarious state of our urban waterways. Alcock-White’s masterful use of colour theory, pigments and the spectrum of light make her paintings vibrate with energy. Both impasto and alla prima make the surfaces radiate like the natural viscosity of water. 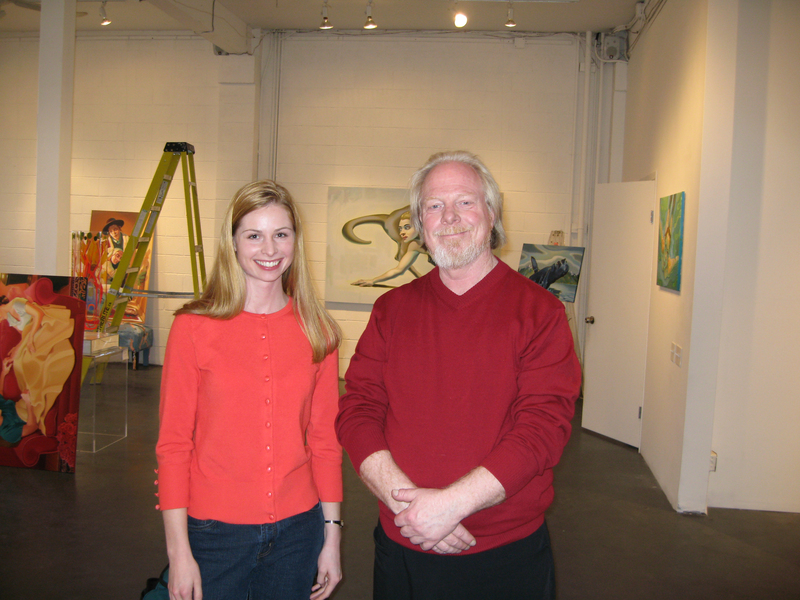 Her works are a study of nature and personal introspection. 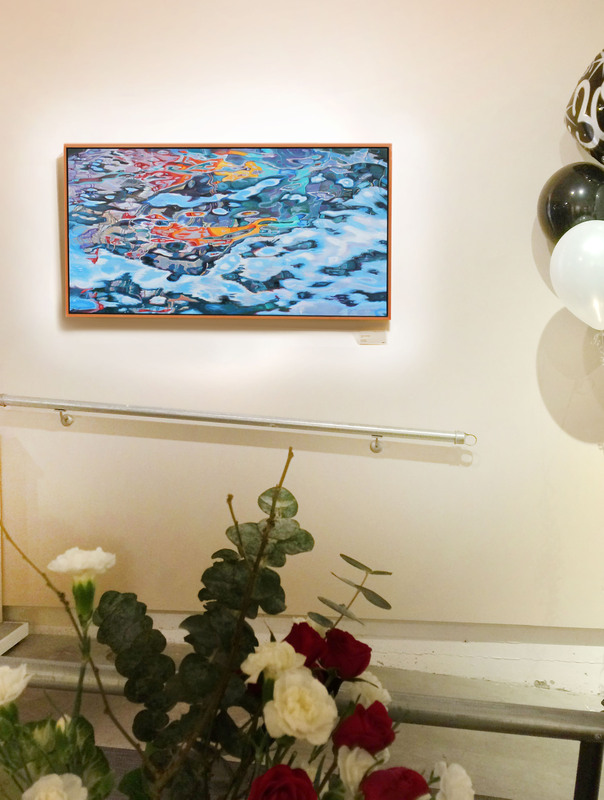 In the spirit of earth day celebrations, she will be painting live in the gallery and offering her painting in a silent auction with all proceeds donated to the Yellow Point Ecological Society. 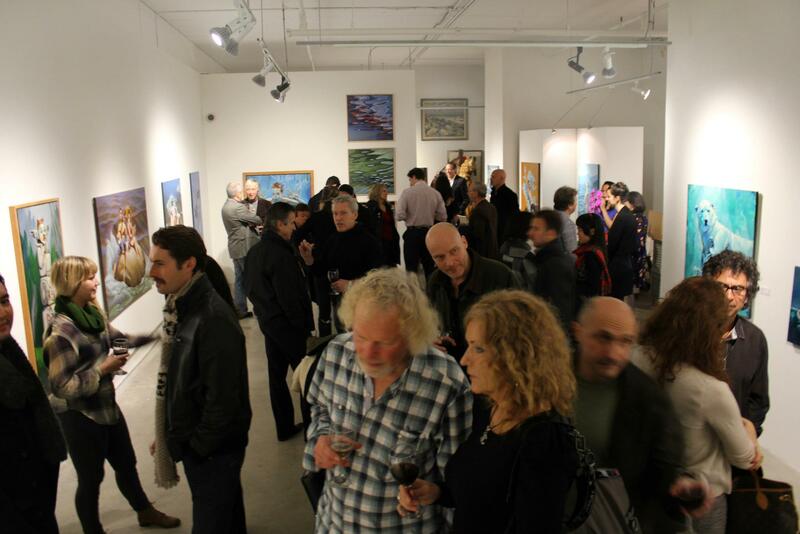 Deja Vu, Group Exhibition, Petley Jones Gallery. 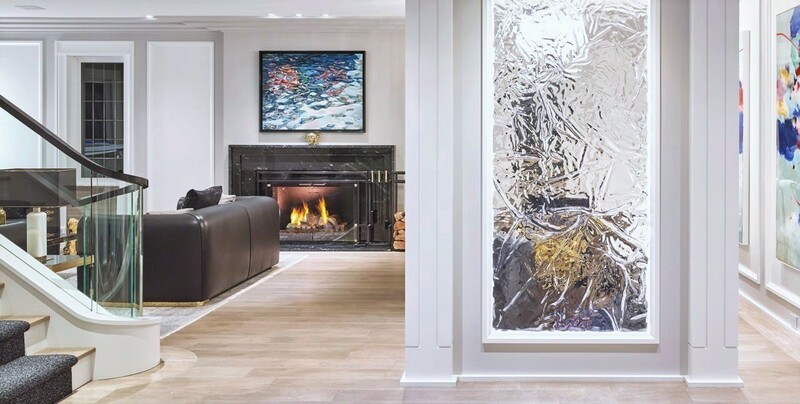 A mix of contemporary and historic art including works by the Group of Seven. 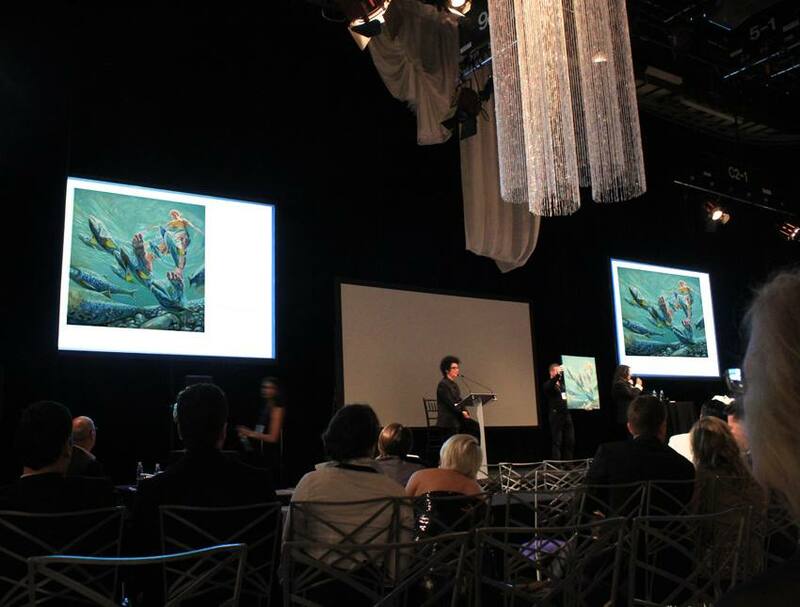 Artists represented were: Tom Thompson, A.Y. Jackson, Emily Carr, J.E.H. MacDonald, A.J. 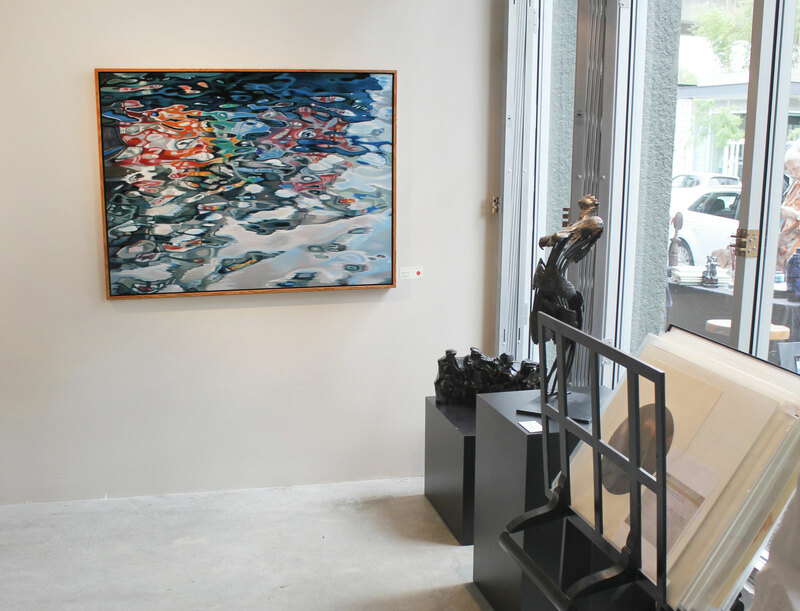 Casson, Lawren Harris, Jean-Paul Riopelle, Jack Shadbolt, Llewellyn Petley-Jones and Amelia Alcock-White. 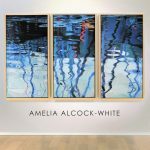 Italian Art Blog: Artwort “Behind the new series of Amelia Alcock-White is an important reflection on the future of the planet.” 10/04/2018. 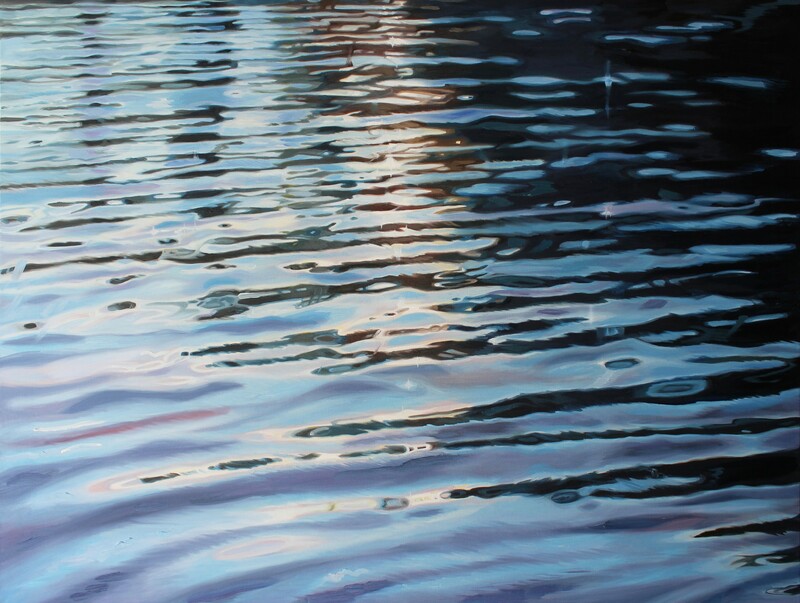 Creative Boom “Watermarks: Amelia Alcock-White’s calming paintings of reflections on the surface of water.” Written by Laura Connelly. 10/03/2018. Essential Magazine “Looking for Canada.” Editorial by Matzkuhn, Bettina. pg. 60. 2017/2018. 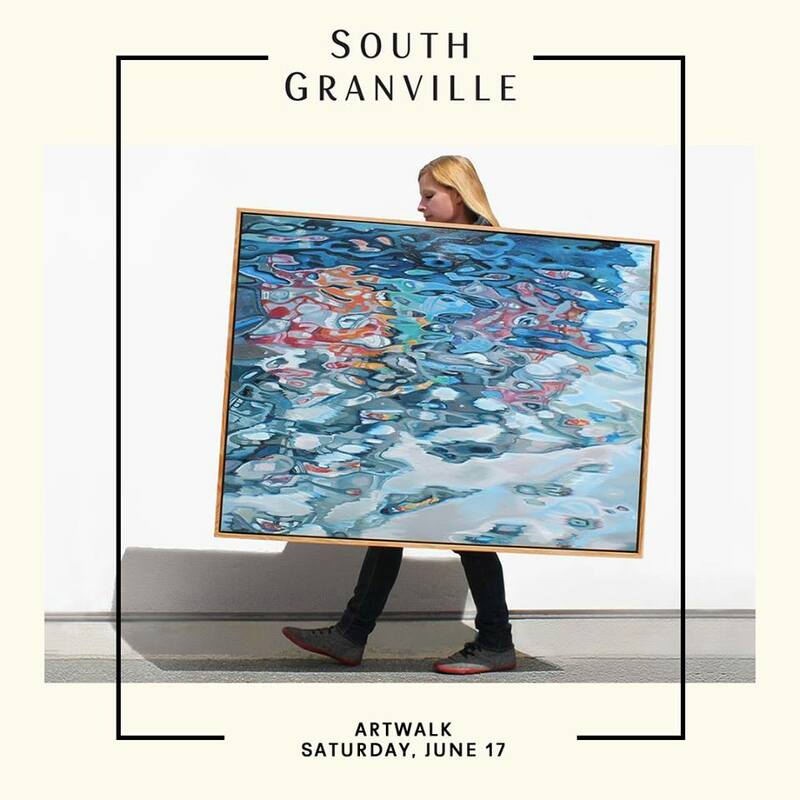 South Granville “Amelia Alcock-White at the 6th Annual ArtWalk ” 06/17/17. 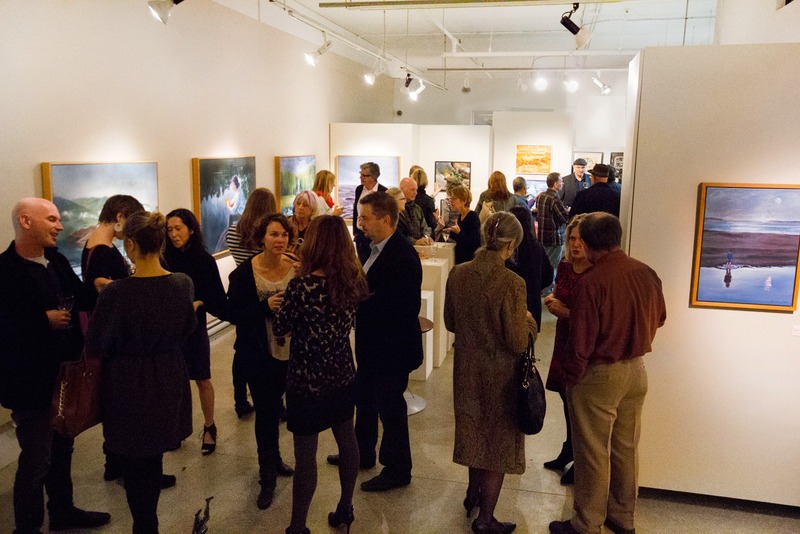 Artist Monograph The Reach Gallery Museum. Essay by Schneider, Laura. 03/10/16. Vandocument. “The Colour of Silence” Ramsey, Dillon. 11/8/14. Vancouver is Awesome. “Autumnal Contemplation.” Frere, Sunshine. 11/2/14. Galleries West. “Take Them Home.” Priegert, Portia. 09/03/14. Art Trends Interview. Flintoff, Fabian. 08/03/14. David Suzuki Foundation. 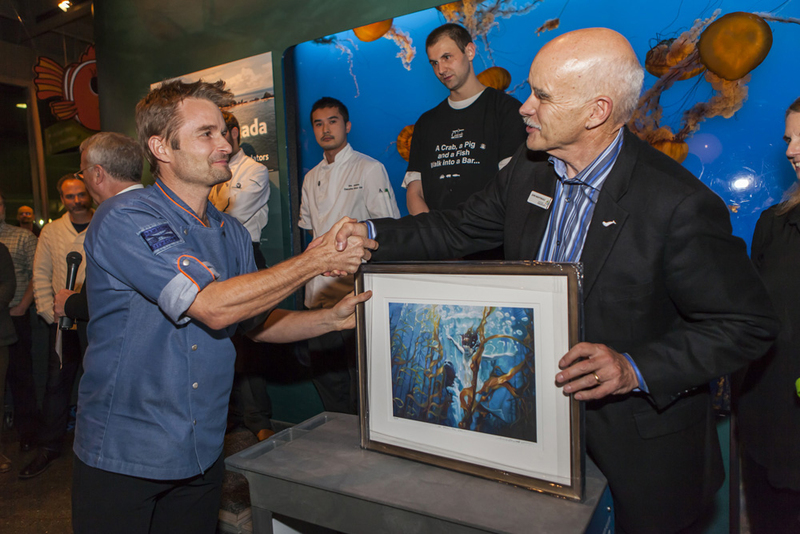 “Painting for Change: Artist campaigns for ocean conservation.” 09/14/14. Installation Magazine. 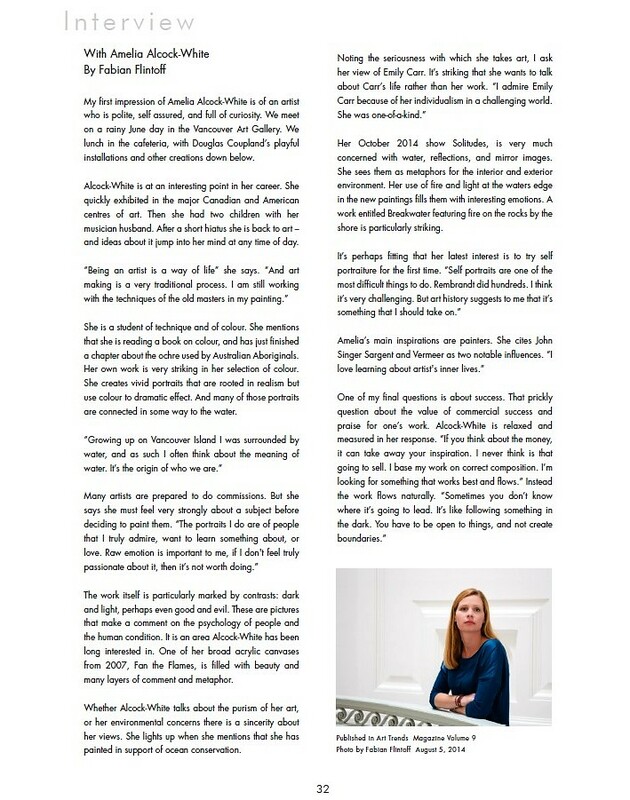 “The Wonder of Ambiguity.” Interview by A. Moret 07/01/13. Booooom “Featured Artist.” Hamada, Jeff. 17/06/13. 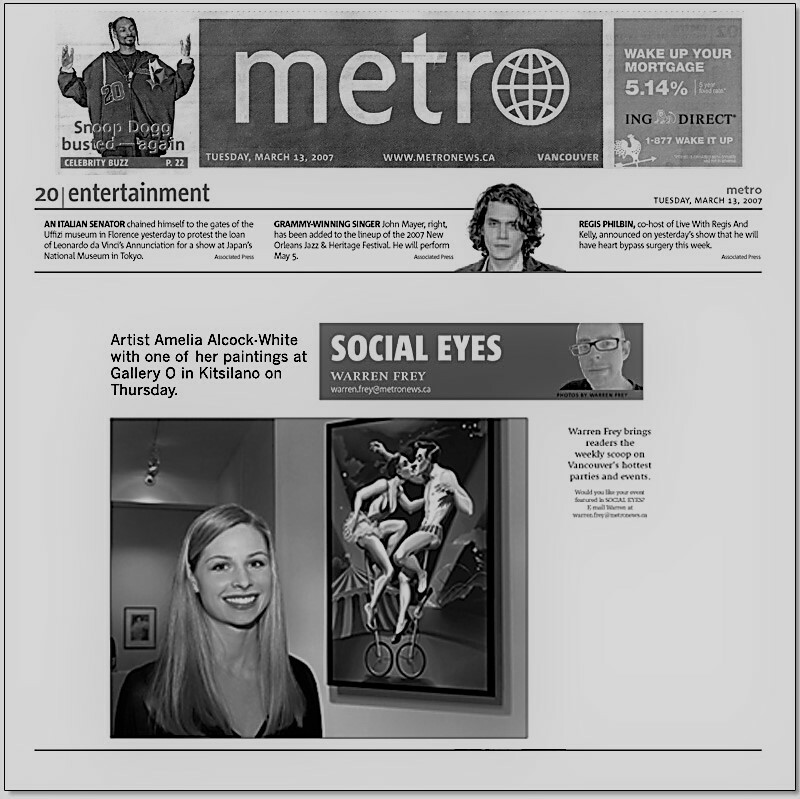 The Courier South “Granville galleries open up for ArtWalk.” Blissett, Rebecca. Vancouver 06/26/13. Water Born. 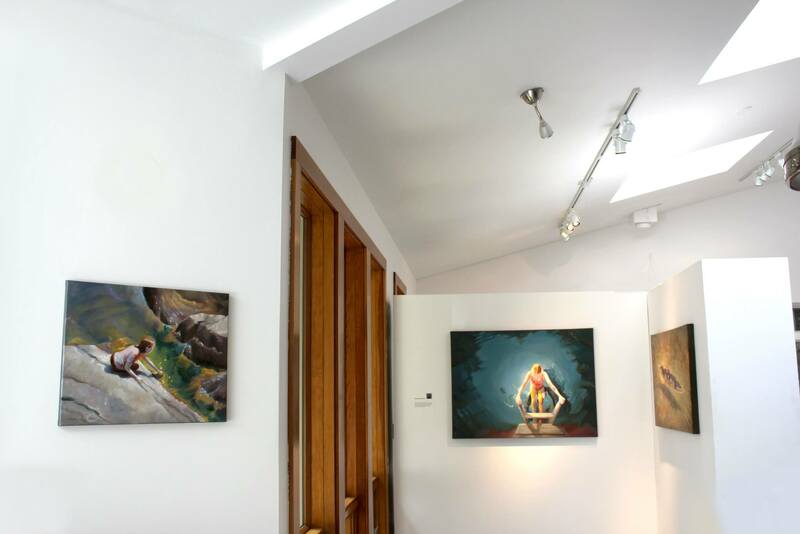 Solo exhibition (limited edition book) Petley Jones Gallery: 2012. Snap. 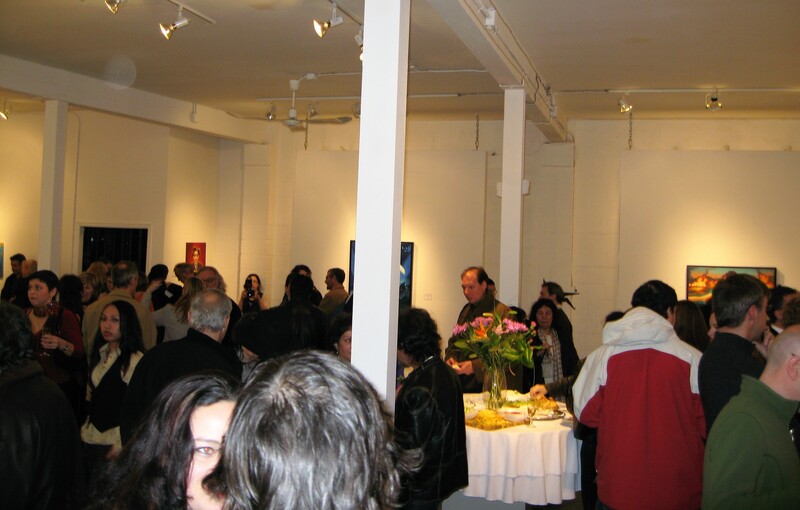 Exhibition review. Canada: 12/12/12. Notable.ca. “YED Daily” National online interview. Canada: 12/11/12. 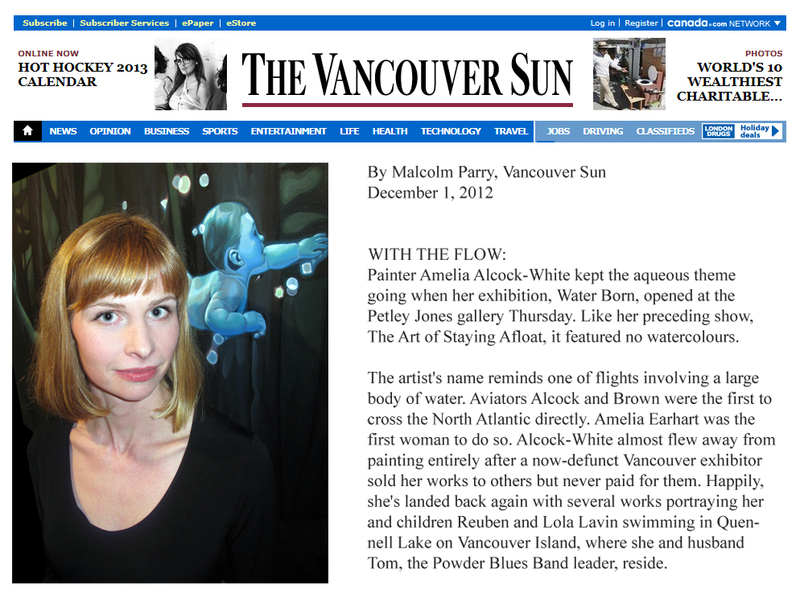 The Sun.”With the Flow.” Parry, Malcolm. Vancouver: 12/01/12. The Commentary. “Radio Interview.” Planta, Joseph. Vancouver: 11/28/12. Galleries West. 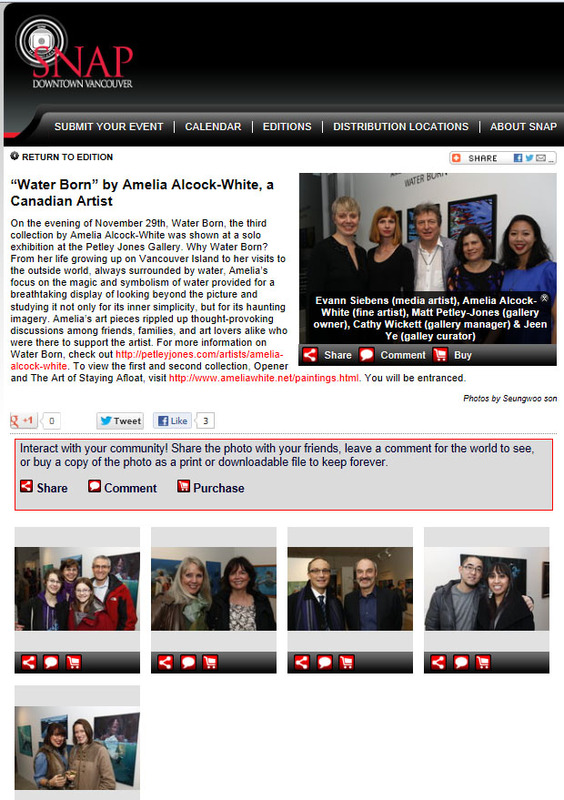 “Water Born Exhibition.” Canada: 12/12/12. Hot Art Wet City. “Video Interview.” Bentzen, Chris. Vancouver: 11/27/12. Empty Kingdom. “Art Feature” Konahrtist. UK: 06/12/12. Dumpjekunst. Curated Dutch Art Blog. Netherlands: 06/05/12. Global Art Junky. “An Artist Studio” Feature Story. Visual Arts Blog: 05/10/12. Artista Day “May Feature” Los Angeles, CA: 05/12/12. 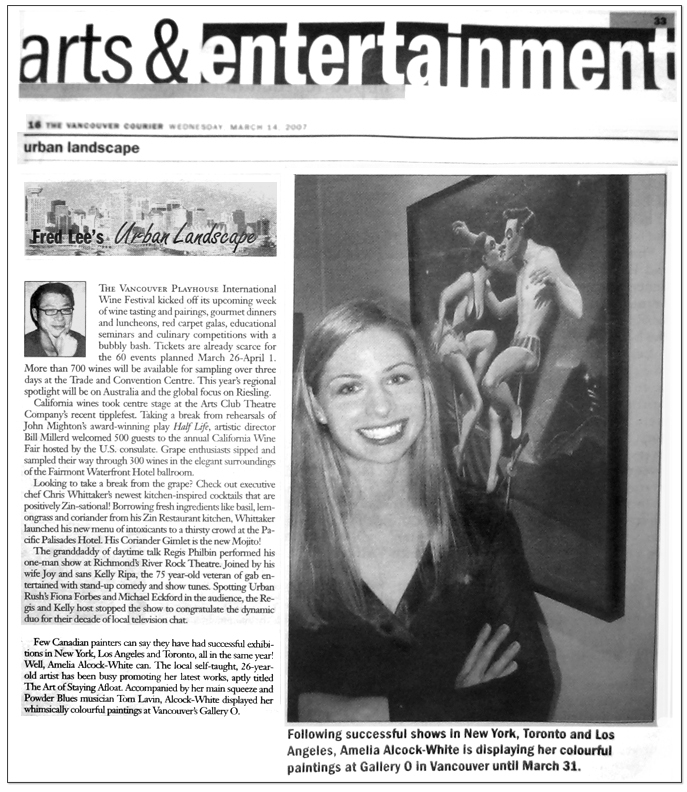 Hyperallergic.“A View From theEasel” Hartigan, Philip. USA: 05/01/12. Infamous. “Staying more than Afloat.” Vancouver: 03/01/07, p. 5. The Courier. “Urban Landscape.” Lee, Fred. Vancouver: 03/14/07. 24 Hours. 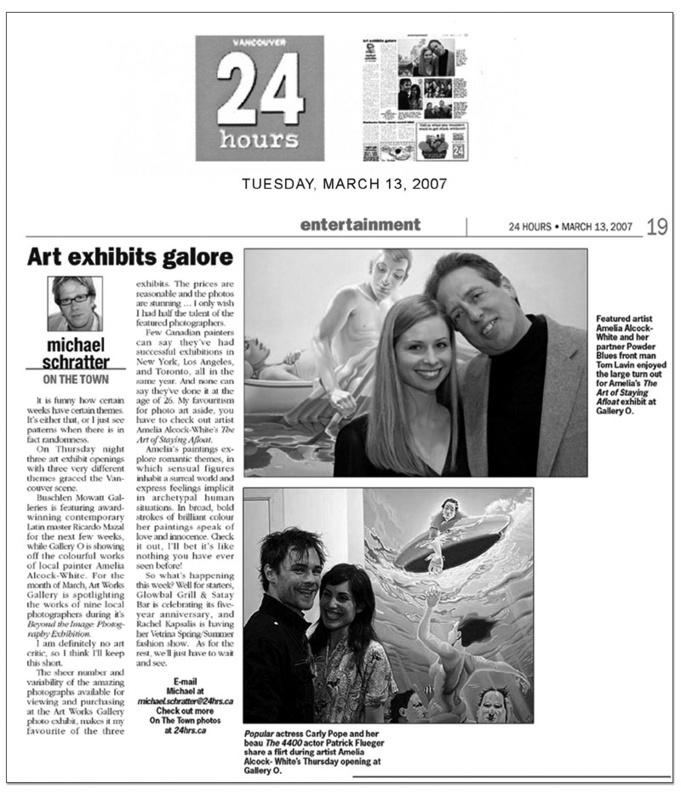 “Art Exhibits Galore.” Schatter, Michael. 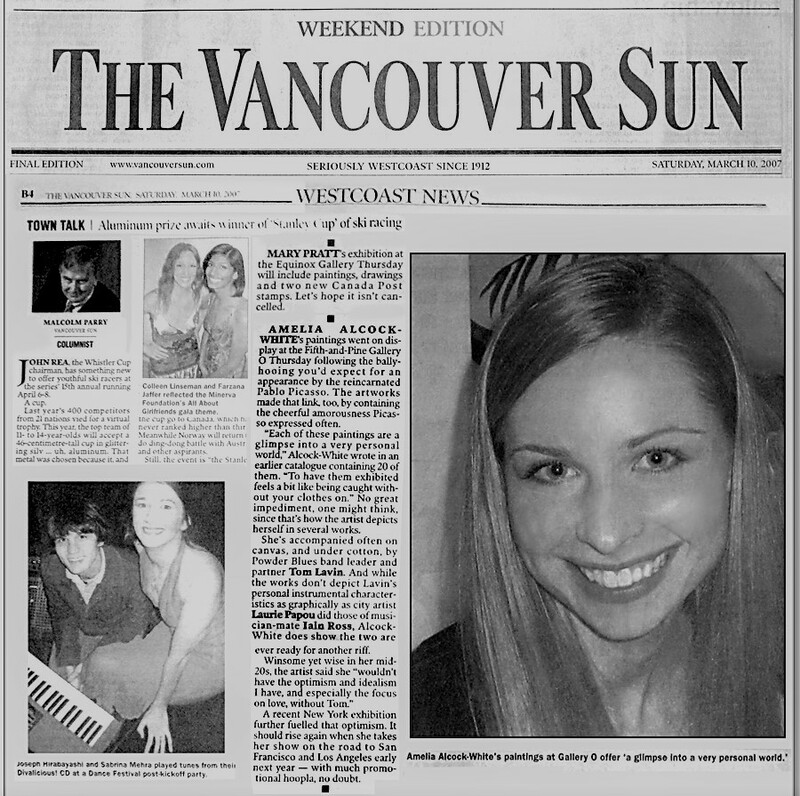 Vancouver: 03/13/07, p.19. Metro. “Social Eyes.” Frey, Warren. Vancouver: 03/13/07. The Vancouver Sun. “Town Talk.” Parry, Malcolm. Vancouver: 03/10/07. The Globe and Mail. “Review.” Toronto, ON: 03/02/07. Juxtapoz Art & Culture Magazine. “Art Event.” Los Angeles, CA: 03/01/07. The News Bulletin. “The Art of Humanity.” Fryer, Melissa. Nanaimo: 03/01/07. The Chronicle. “Amelia Alcock-White brings dreams to life.” Aldous, Rebecca. Ladysmith: 02/27/07. The Navigator. “Alumni finds Success in Paint” Carter, Matthew. Nanaimo: 02/28/07. Multifaith Action Society. “Expressions of Hope.” Vancouver: 01/02/07. Preview: The Gallery Guide. Vancouver: 02/01/07. Dave Flather. Director, Group of Seven Art. Art Review. Vancouver: 03/01/07. Eye Weekly. “Romantic paintings by Amelia Alcock-White.” Toronto, ON: 01/08/07. Juxtapoz Art & Culture Magazine. “Events.” Los Angeles, CA: 08/01/06. Artslant. “Deamworld.” Los Angeles, CA: 08/10/06. 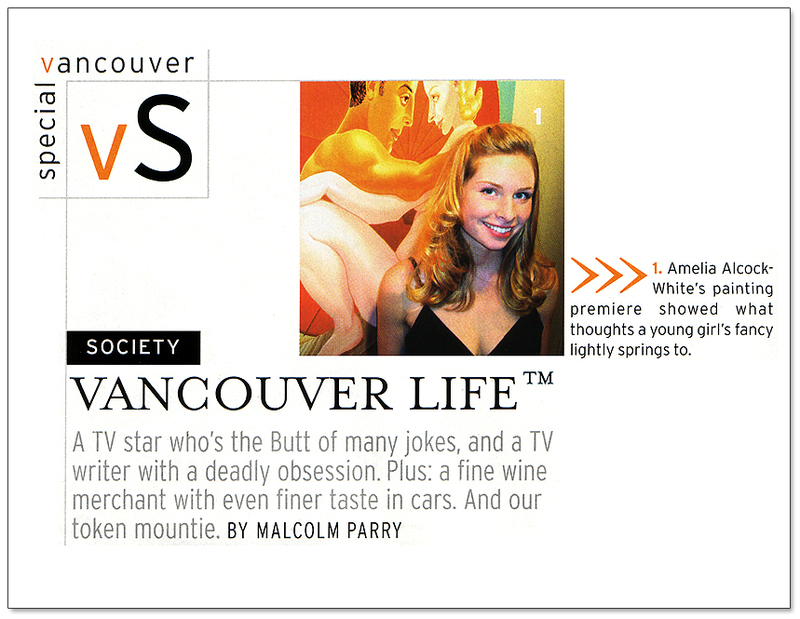 Vancouver Lifestyles Magazine. “State of the Art.” Hopkins, Michelle. Vancouver: 01/01/06. Vancouver Magazine. Parry, Malcolm. Vancouver: 02/07/05. Preview: The Gallery Guide. “Exhibition Catalogs of Interest.” Vancouver: 01/01/05. The Sun. “Westcoast News.” Parry, Malcolm. Vancouver: 12/05/04. The Province. “The-List:Art.” Derdeyn, Stuart. Vancouver: 12/05/04. Where Magazine. “Brushes with Talent.” Barton, Adriana. Vancouver: 12/01/04. Mia Johnson. Preview of the Visual Arts. Art Review. Vancouver: 10/01/04. Dennis Burton. Painter & Teacher. Art Review. Vancouver: 09/01/04. Opener. Solo exhibition,(limited edition book) Simon Patrich Gallery. Vancouver: 09/11/04. CBC Radio Canada. “The Arts Report.” Grant, Paul. Vancouver: 03/08/07 4pm. Urban Rush. Artist Interview. Vancouver: 03/08/07. The Express. 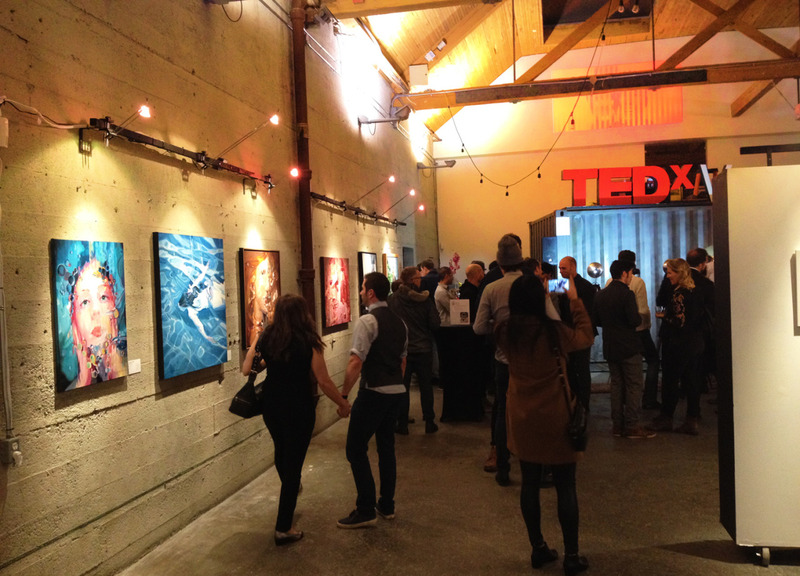 Opening Reception/Interview. Ward, Johanna. Vancouver: 03/08/07. City TV. Artist Interview. Tasha Chiu, Co-Host: 03/06/07. 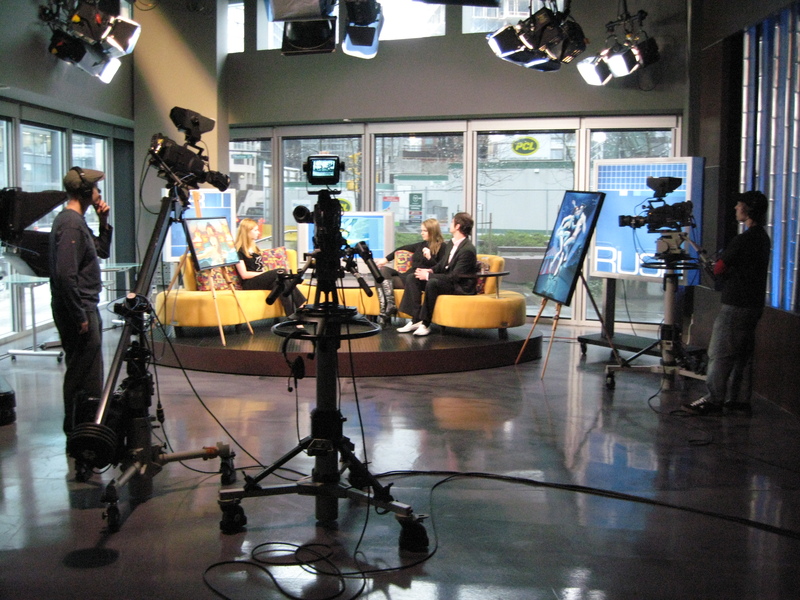 Channel M. “On the Arts.” Television Interview. Petocka, Natalia. Vancouver: 11/24/05. 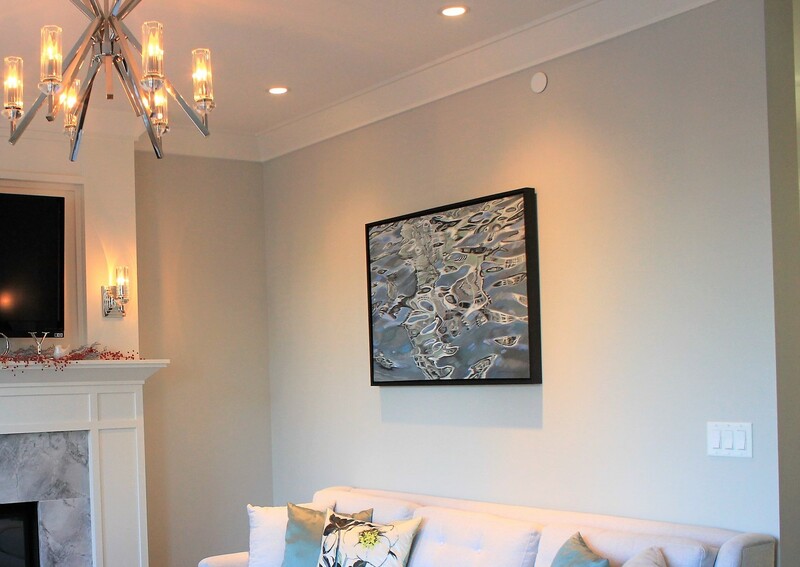 Private collection, Shaughnessy, Vancouver.“Vessel” 48 x 36” 0il on canvas, 2017.